Depressed? Well Here Is Some Motivation. For those who need a heavy dose of motivation, are under the influence of a void or a ‘life trough’ and need some persuasion to get up and fight! That why we must fight….. Try to understand the blackness, lethargy, hopelessness, and loneliness they’re going through. Be there for them when they come through the other side. It’s hard to be a friend to someone who’s depressed, but it is one of the kindest, noblest, and best things you will ever do. Be there for them show them you love them. Listen to other people’s stories on how to cope with depression……. An take it one day at a time. Call the toll-free National Suicide Prevention Lifeline (NSPL) at 1-800-273-TALK (8255), 24 hours a day, 7 days a week. The service is available to everyone. The deaf and hard of hearing can contact the Lifeline via TTY at 1-800-799-4889. All calls are confidential. Contact social media outlets directly if you are concerned about a friend’s social media updates or dial 911 in an emergency. Right now, thousands of people are talking about the show 13 Reasons Why. We’ve heard stories of people asking for help for the first time, and stories of people who had to stop watching because the show was too triggering for them. We’ve heard from parents asking if we think the show is appropriate for their son or daughter. We’ve heard from people who loved the show, and we’ve heard from people who hated it. 13 Reasons Why is causing a significant number of individuals to think and talk about mental health, and many of them are thinking and talking about it for the first time. That’s a good thing. The show is also being met with criticism because of the way it portrays sexual assault and suicide. The show is triggering and painful for a lot of people. That’s a bad thing. If you struggle or have struggled with self-injury or thoughts of suicide, we would encourage you NOT to watch 13 Reasons Why. We’ve heard from many people who have chosen to avoid the show, and we applaud these folks who are choosing to prioritize their own recovery. We know this is a unique moment in pop culture, with so many people talking about 13 Reasons Why. You are certainly more important than pop culture, and we will always encourage you to put your recovery first. We’ve heard from people who started watching but then at some point they had to stop because it was too painful. Others watched every episode but it left them with mixed feelings. If your heart is heavy after watching 13 Reasons Why, we’re sorry for the pain you experienced. Our hope would be that you have safe people who you can process your feelings with. Maybe that means friends as a place to start. Maybe it means a parent or another adult you can be open and honest with. If you’re struggling to the point that you need more support than what a friend or family member can provide, please know that it’s okay to reach out to a mental health professional. Speaking of mental health professionals, we know that the show doesn’t paint the best picture of counseling. The school counselor, who is not a licensed mental health counselor, certainly fumbles his meeting with Hannah in the final episode. Well, at TWLOHA, we are huge fans of counseling. Most of our team, we’ve either been to counseling or we continue to go to counseling. We know some great ones, men and women who have devoted a big part of their lives to helping people navigate the hardest parts of their stories. We believe that for folks who are struggling, connecting with a licensed mental health counselor can be the decision that changes their life. We meet people who say they’re still alive because they decided to start seeing a counselor. If you’re a parent who is concerned about how to talk to your son or daughter, our advice would be to talk to them. If you don’t know what to say, maybe you start there. 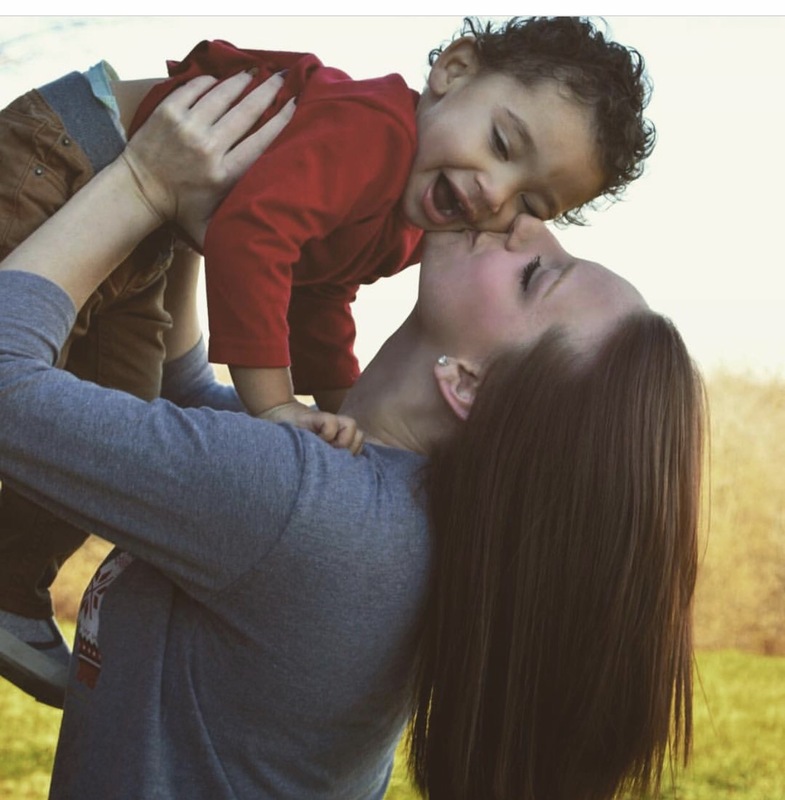 It’s important that your child knows you love them, that they know they’re not alone, and that they feel invited to speak openly and honestly about their feelings and their pain. As for you, the parent, it’s okay for you to ask questions. It’s okay to admit what you don’t know. It’s also important to create an environment where family members feel safe, and where asking for help is something that is encouraged at any age. 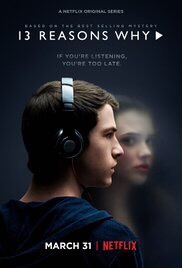 While we wish that the creators of 13 Reasons Why would have been more careful in how they chose to tell the story, we are thankful for the good that is coming as a result of this story being told. We’re glad people are talking about mental health and suicide. If you’ve decided the show is not for you because you don’t want to risk being triggered, we support you as you pursue your recovery. If you watched and you felt triggered, we support you as you process those feelings. If you watched it and you feel the show helped you in some way, we support you. If you’re a parent and you’re doing your best to love your son or daughter, we support you. We’re all in this together. As i watched the final episode, in which Hannah makes the heartbreaking decision to end her life, i wished she could have known how special she was. Known that she was brilliant and beautiful and loved and deserving of love — that her whole life was ahead of her, a life very much worth living. i wished Hannah had a support system, friends she could lean on and cry with, and professional help to guide her to healing. As folks around the world continue to debate and discuss this fictional story, we hope you will remember that your true story is truly important. The things we hoped for Hannah, we hope them now for you — that your story would be rich with characters who know and love you, who fight for you instead of fighting you, people who remind you that you’re priceless. Life is worth living. The best is yet to come. Let’s keep going. It’s 7:30 a.m. and you have to be at work in a half hour; this is the fourth alarm that has gone off, and you still aren’t even close to moving your body out of your bed. So, you push snooze for the fourth time and you roll back over. It’s 7:45 a.m. and there’s that pesky alarm again. This time you just turn it off and go right back to sleep. It’s 11:25 a.m. You just woke up for the day and you know you’re not getting out of bed for at least another hour or two … maybe. It’s 2:45 p.m. and you still haven’t gotten up. You have a meeting with your academic advisor in another 45 minutes, so you push yourself out of the bed that has held you hostage so many times before, and put yourself together. It takes extra long but you finally get dressed. It’s 3:15 p.m. and you still haven’t left the house, so you have a panic attack and you end up not leaving the house. You talk to your roommate, your mom, your other roommate, but nothing seems to comfort you. You feel like a failure who is going to fail out of school and be fired for never getting out of that goddamn bed. It’s 9:45 p.m. and you are finally hungry, so you decide to go into the kitchen and eat something. It’s 11:25 p.m. and you are trying not to think about what a failure you feel you are, but those thoughts tend to creep up on you until they have taken over and suffocate any good thought you have. It’s 1:56 a.m. and you are still not asleep; those pesky thoughts are of course there. It’s 3:39 a.m. and you finally drift off to sleep, hoping that tomorrow is not going to be like today. Two years ago — May 5, 2014 — started as any Monday would start at our home in the suburbs of Boston. It was a beautiful, sunny New England spring morning. My husband Gary decided to sleep in a little later than usual and would come into the office before noon. This wasn’t unusual at all. Since he’d been struggling with depression, mornings were always hard and often he’d wake up with me, let our dogs out and go back to bed for an hour or two. I showered, got dressed for the office then lay on the bed with him for a few minutes and we talked about the week ahead and a trip I was making to New Hampshire the next day. I gave him a kiss and a hug, we both said “I love you” and I left for the office. While I remember some of the details of my morning, I can only guess what the next couple of hours were like for Gary. I didn’t know it at the time, but he had a plan in place and this was the morning he was finally going to put the plan into action. Did he write the note after I left or did he write it weeks or months earlier and save it on his desktop? Did he take Harry and Torre (our beloved Welsh Corgis) to the park for a walk? Was he anxious? Frightened? Sad? Relieved? I will never know the details of those hours. All I know is the outcome. When I couldn’t reach him on his cell phone later that morning, I decided to drive home, wake him up and bring him into the office with me. Again, this wasn’t that unusual and it had happened before. Sometimes the depression was best faced in bed. I knew that and respected that reality. When you love someone living with depression you expect bad days, hard days, really bad days and OK days. I assumed this was just another bad day. But this day would be a really, really bad day. As I drove up our street I could see there was a note taped to our screen door and at that moment I knew my life would never be the same. Marlin, I’ve taken my own life. I don’t want you to find me. And with that the world turned upside down. 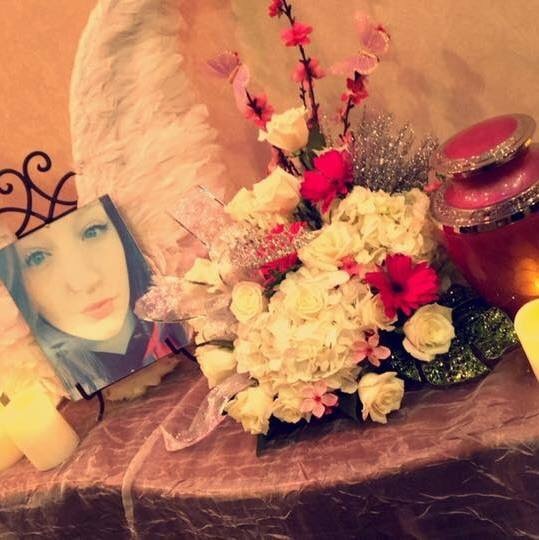 Molly was our pastor and Gary knew I would need her by my side to face what had happened. I called 9-1-1 as he’d instructed me and the police came to the house, they went upstairs to our bedroom and confirmed Gary was dead. At that moment I made the decision I was not going to hide how my beloved had died. While he died by suicide he also died from depression. You see Gary was vocal about his disease and would tell anyone who asked how he’d been fighting depression for years. He made sure they understood it was an illness just as serious, real and unwanted as cancer, a heart attack or diabetes. It was not his fault and he did everything he was told to do to fight the disease. Anyone living with depression or loving someone living with depression recognizes this list: Medications, therapy, ECT, vitamins, yoga, exercise, DBT, meditation, good sleep hygiene — the list goes on and on. Sometimes after trying a new medication or therapy there would be a day or two of a change in his mood or outlook, but eventually he’d quietly break the news to me it wasn’t working. Often with tears in his eyes he’d say, “Honey the blackness is back… I’m so sorry” like it was his fault the depression wasn’t lifting. That’s part of the problem with the disease of depression. For those who are suffering from it, there is always a tinge of self-blame. That self-blame is kind of built in to our societal views of mental illness — in the back of most of our minds there is a belief the patient suffering must somehow be responsible for their own depression. But as someone who cared for, lived with and eventually lost someone I love to this disease, I can say without any doubt that if Gary could have simply changed his outlook, pulled himself up by his bootstraps, counted his blessings or any of the other platitudes often thrown at those suffering from depression he would have done it. In fact he did do all of those things and more. But the disease, just like the worst cancer, was stronger than any medicine, any therapy or any walk in the sunshine. We need more research money, we need much more knowledge of the brain, mental illness and how best to treat it. We have to start treating mental illness as the public health crisis that it is; a disease just as lethal as heart failure, cancer, opioid addiction and obesity. We need to make changes in insurance reimbursement policies for mental illness. We have to smash the stigma of depression and place the disease exactly where it belongs; one of the most debilitating and deadly that any of us could face at any time. If you or someone you love is struggling with depression this message is for you – from me and from my sweet husband. They can help prevent suicide. The Lifeline provides 24/7, free and confidential support for people in distress, prevention and crisis resources for you or your loved ones, and best practices for professionals. We need to talk about depression. Why not start with mine? For two years I couldn’t find the pleasure in doing one of the things that I enjoyed the most. I lost count of the times I put a pillow behind my back and made myself comfortable with a laptop on my lap, only to shut it down soon thereafter because I could barely write a sentence. I tried to write with new and old notebooks, with fancy pens. I tried in the evenings and in the mornings. I used candles and music. I tried at home and in cafés, while travelling or in random places. I even went on a winter retreat on an island to spend four days totally dedicated to writing. Yet nothing would come out. Every time I closed my notebook or shut down my laptop, I would curl up in the fetal position and close my eyes, tears coming out with no mercy. No matter how hard I tried to wipe out my emotions, they would always find a way to escape. Today I know I spent two years facing blank pages because I was trying to let out a soul that my depression had emptied. My depression was like getting stuck in traffic. I was there against my will. I was running out of fresh air. Everything was blurry. My thoughts and feelings were crossing and running around, and I didn’t even know if they were mine or someone else’s. I would face my wardrobe, unable to decide what to wear. I would spend hours searching for entertaining things to do, only to become exhausted and eventually give up. I cried for no apparent reason. There were intense psychosomatic episodes that brought me to the doctor – even to emergency services – with palpitations and numbness that I could locate in my body but not in my mind. There were so many weekends at home because it was so much easier to stay in than to go out and pretend. And yet I gained some clarity from those situations. I saw my sadness, my emptiness, and my apathy. I felt the distress of not being able to articulate what was going on inside me, of not being understood, of feeling ungrateful and useless. I realized how all of that was wrapped up in a shiny paper called guilt, which only made everything worse. I saw it all: tiredness, apathy, sadness, and emptiness. I felt it all too, especially the guilt. Thankfully, in the absence of my writings, I spent endless hours reading. In the midst of my struggle, I was pleased to find a “me too” world. It was a global, virtual community. Scientific articles explained to me that all of this was depression. Strangers convinced me that I could get through this. And guess what? They were right. I did. I’m writing this because I can write again, and now I want to help others. To those who are reading this from the other side, please know that you can get through this. You can get past the exhaustion and the apathy and the sadness and the emptiness. You won’t have to live with the guilt forever. You can get through this. You will get through this. I know because I could and I did. I am writing again. This is my proof. This is my evidence that this isn’t the end for you. So if you are stuck in your own soul like I once was: You can do this. You can get to a place where everything is OK.
Debora writes on mental illness and other stigmatized health conditions in English and Portuguese on mindthehealth.org. Everyone has bad days. Whether it’s because of problems at home, at work or in our relationships, we all experience down periods in our lives. For most people, the down periods come and go in a reasonable, ordinary fashion and can be remedied by things that make us happy. But for those who suffer from depression, the emotional low periods don’t go away so easily. Clinical depression is a serious mental disability with severe consequences for the individual and his or her loved ones. Depression is all too often a gateway into drug and alcohol use. It’s easy to see why. Those who experience feelings of depressions take alcohol and drugs in order to escape their negative emotions. But those who are clinically depressed are going to stay depressed if they do not seek treatment. And if these individuals are using drugs and alcohol on a regular basis, chances are their usage will soon turn into full-blown addiction as they continue in a vain attempt to self-medicate. For some individuals who have depression and a substance use disorder, giving up drugs or alcohol can actually make depression worse. If you’ve been using alcohol for years to bury your depressive symptoms, you may find that your depression rises to the surface in sobriety. That’s why it’s so important to receive integrated treatment for both depression and substance abuse at the same time. Without treating the depression that drives your addiction, or vice versa, you’re likely to go back to your addictive behaviors or to experience a return of your depressive symptoms as soon as you finish rehabilitation. In many cases, people who have depression and substance abuse drop out of conventional rehab programs because sobriety is too much to handle without the right level of therapeutic support. While The ARB Foundation believes in the power and efficacy of treatment, you are responsible for interviewing and selecting the provider or treatment. As The ARB Foundation does not provide treatment services, We cannot accept responsibility for any of the services provided by these or any other providers. 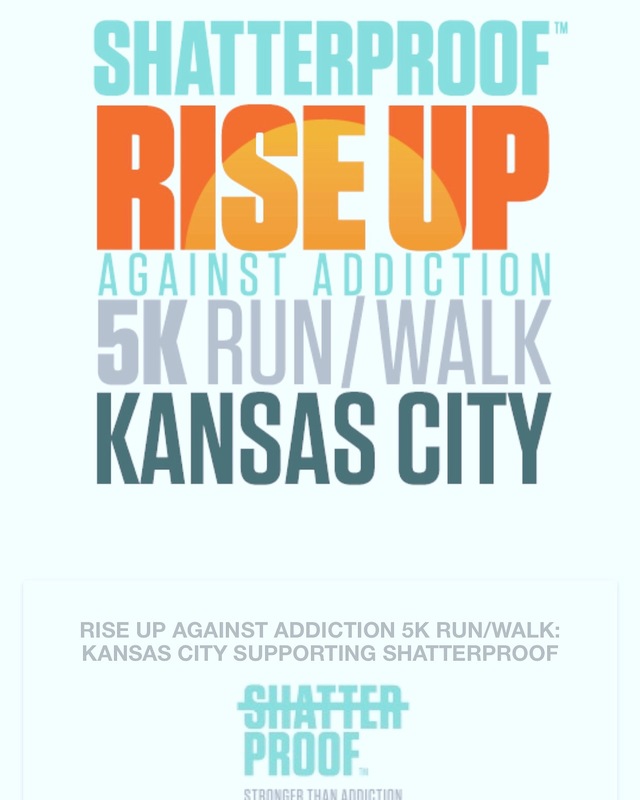 Join us as we “Rise up Against Addiction” 5k walk/run sponsored by ShatterProof, stronger than addiction. If your interested in joining us please click here to register. Please go here and register to volunteer. 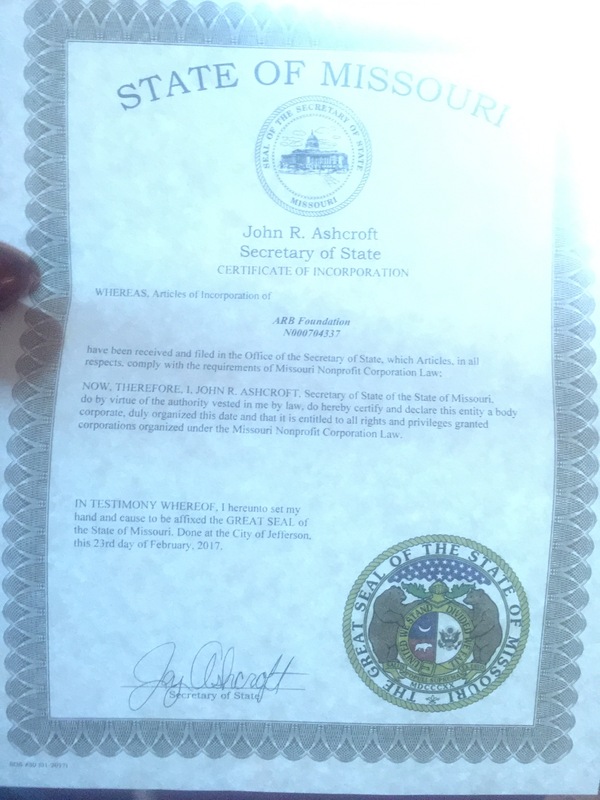 In the comments box please state that you will be volunteering as the ARB Foundation! I know what depression is like. It visits me now and again — always showing up unannounced like a presumptuous friend. Depression is like turning a corner and finding an abyss. It’s like realizing the path you were following has completely vanished. Depression is like finding out the elevator is broken and that your meeting has been moved up to the thirty-ninth floor. It makes even the simplest tasks impossible. Taking just one step forward becomes a chore. Depression is like trying to hold happiness in a sieve. No matter how much joy you’re given, it doesn’t persist. Depression is a deep darkness that even the sun cannot seem to overcome. It is invisible, but not imaginary — fluid, yet cumbersome. Depression is like a summer day everyone else can enjoy, but you’re still cold. It’s like knowing a fire is burning but never feeling warm. Depression is like being adrift and unsure of where you’re going. It’s like finally seeing land but realizing it’s hostile territory. Depression is an invisible chain with a key that’s just beyond your reach. It’s a weight. It’s a prison. And no attempts to escape it succeed. Depression is like trying to scream but never making a sound. It’s like a maze that only contains dead ends. It’s feeling too lost to be found. Depression is a season whose length and strength are unknown. But then, just as spring dethrones winter, one day you wake up to find blossoms have grown. Offers 24/7 crisis services to clients and the community, and many situations can be handled over the phone, but when necessary, mobile face-to-face services immediately available and accessible. This is a call to action. 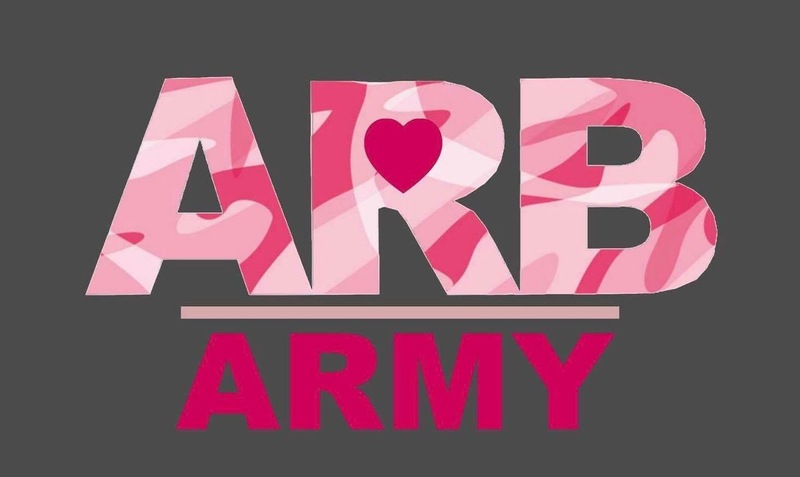 ARB army!!! 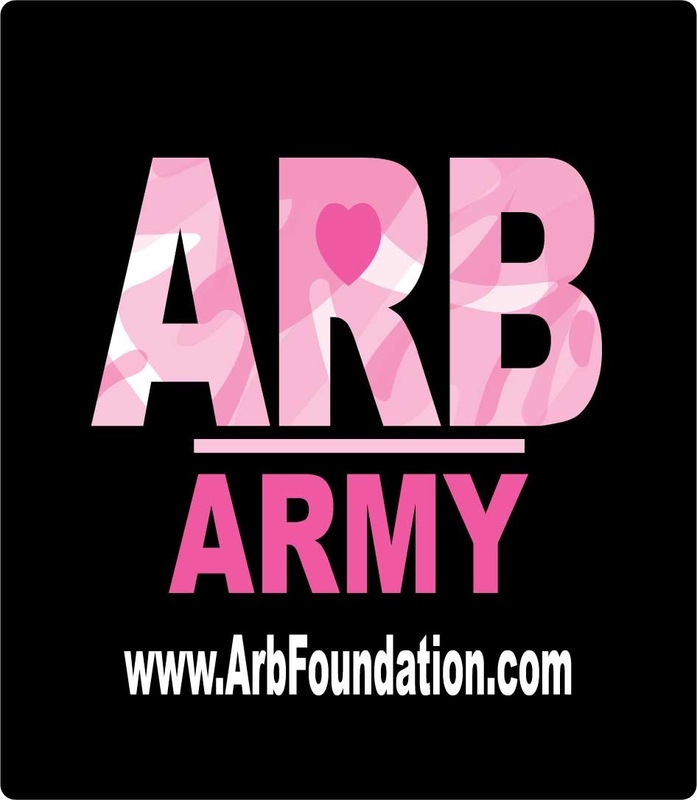 We would love if everyone who is a supporter of the ARB Foundation to share the hell out of this new ARB logo on your social media accounts. We’re asking you to join us in our fight against depression, we are asking you to stand with us as we try to inspire millions suffering from depression. If you are dealing depression or with thoughts of suicide, you can speak to someone immediately here at the ARBFoundation.com for your depression you can email us at anytime. We recommend you please call the National Suicide Prevention Lifeline, if you’re having thoughts of suicide, please contact them at 1-800-273-8255.